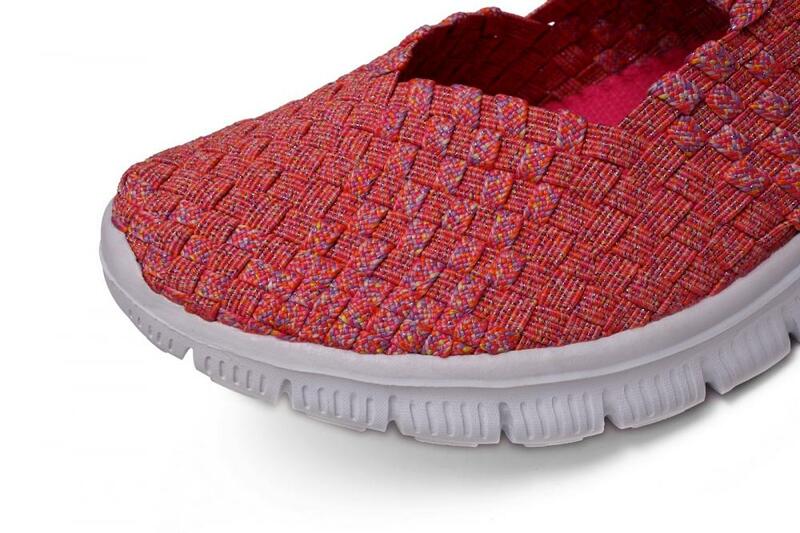 This red woven dance shoes color is flexible. 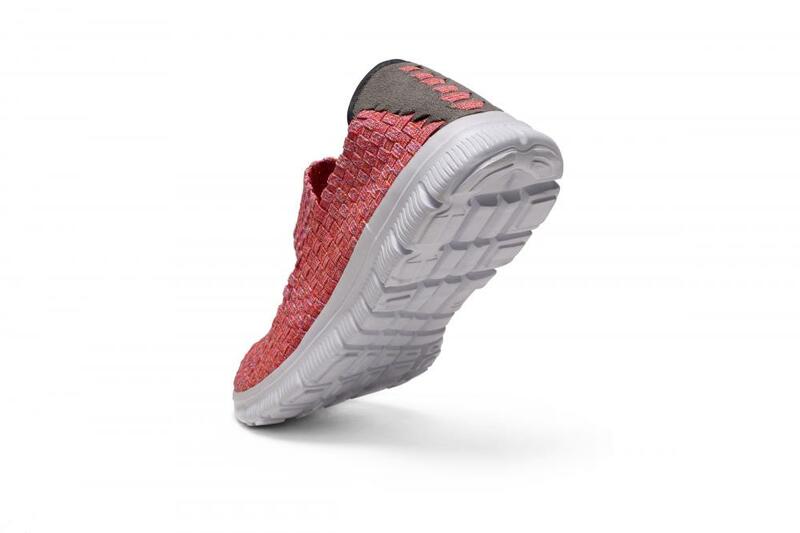 Shoe body with a comfortable texture, breathable soft rubber band with ribbon, hand-compiled, more flexible, breathable, no doubt reached the best state. Shuttle through the rubber band to wear shoes more flexible and comfortable. 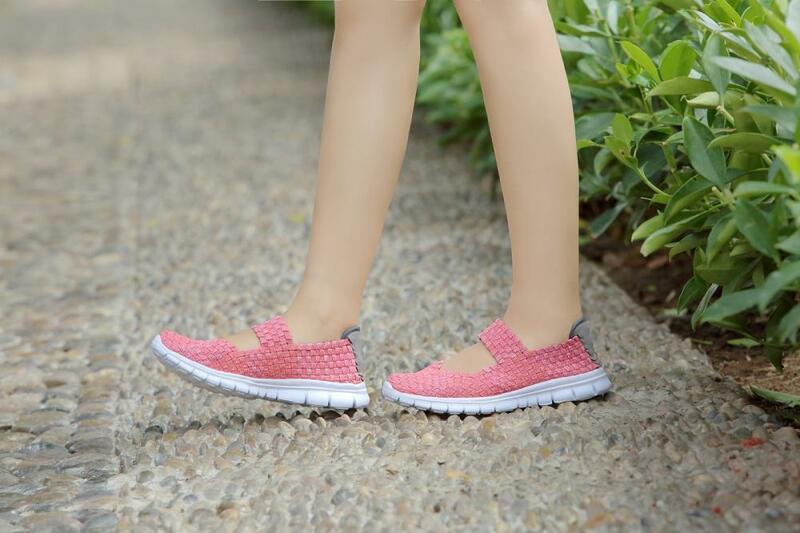 The heel position of the shoes with ultra-soft high-quality cloth, bare feet better protection. Outsole with high wear resistance and curved shape at the same time, more perfect comfort elegant texture design with a sense of modernity and fashion, to bring you a noble and unique temperament, allowing you to highlight the personality, unique. At the same time non-slip intimate design, so that you no matter what the occasion slippery road can cope with ease! It is very lightweight, comfortable, breathable, to love dancing, sports, travel friends to reduce exertion, relax and make your travel life more happy! Tata Kang, "take a healthy new life" as the brand culture, carrying craftsmanship and feelings of traders, heritage national weaving arts and crafts. Product main line is "comfortable, lightweight, breathable." 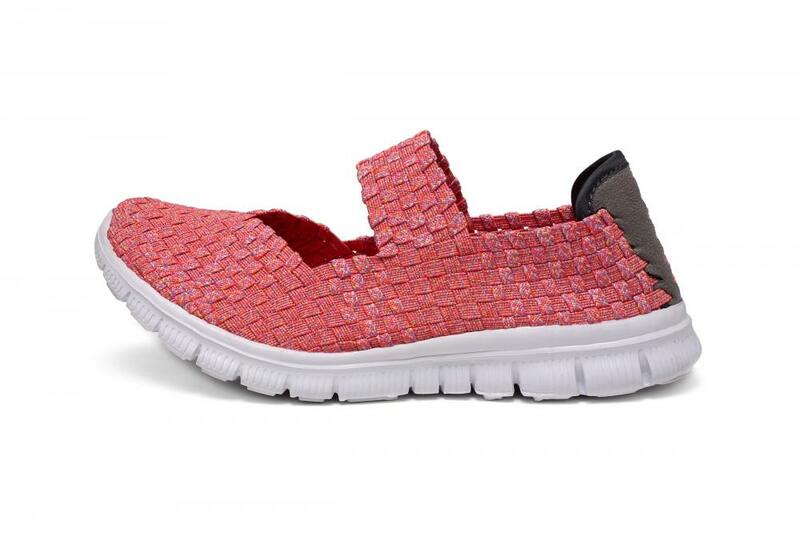 Tata Kang brand shoes represent the fashion, trend, luxury and minimalist style. Continue to bring people a better way to travel. As customers' requirement. You can specify a mode of transport according your require, and we will tell you the shipping cost before that. Detail delivery date should be decided according to production season and order quantity. Subtleties even more high quality, we are concerned about the packaging, logistics, every detail, just to ensure that every baby is perfect to send to your hands. 1. How do I know which size is right for me? You need to measure the foot length and foot circumference, the measurement data should be followed by the corresponding international standard size table, you can understand your standard size is how much. 2. How to measure foot length and foot circumference? Please refer to the following size table presentation. Use a ruler to measure the horizontal straight-line distance from the apex of the longest toe to the heel. With a soft foot in the toe part of the foot near the surface around the circle. 3. How to choose for your own shoes? Tip 4. Unless your ankles are slender enough to show off, do not buy sandals on the ankle straps. Return: Where without wearing and within a week from the date of purchase, found a pair of shoes different code, a pair of shoes forward or other serious quality problems. The following circumstances do not implement the "Three Guarantees": 1. Man-made damage; 2. And other goods and specials. 1. The actual color of the shoes maybe different from the picture shown due to the different screen of display or reflecting light when shooting. 2. 1 to 2 cm error of measuring is a reasonable range due to different measurement methods. 3. It's can't avoidable that you will receive the shoes with some smells from original material as it's new. 4. To communicate as much as possible with us. 5. Carefully ask about the material and comfort of shoes, soles of the thickness. 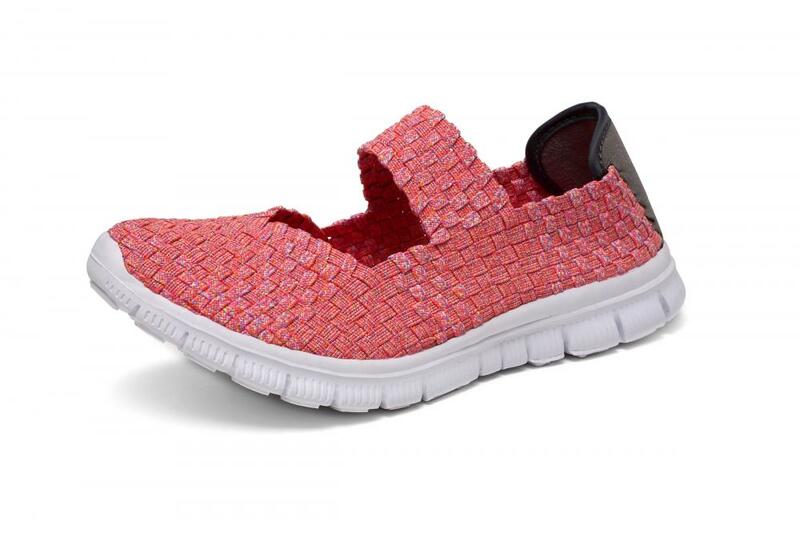 Looking for ideal Red Woven Dance Shoes Manufacturer & supplier ? We have a wide selection at great prices to help you get creative. All the Rubber Band With Ribbon Shoes are quality guaranteed. We are China Origin Factory of Outsole With High Wear Resistance. If you have any question, please feel free to contact us.